This latest issue has a alien theme, kicking off with a ‘Mars Attacks’ style story with some gruesome deaths and some toilet humour – nice! The ending was especially funny, with a dig at the readers too! Next up the U.S.S Toilet Bowl flys through space with a Star Trek theme! 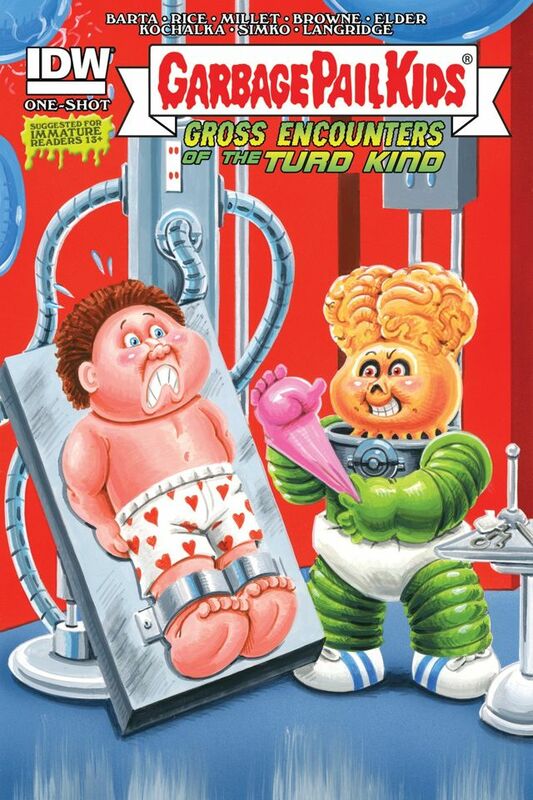 With a large number of fart jokes and a poop joke, this is a short garbage pail kids style story! A change in style is up next with a weaker story with bubble gum and robots – not a good mix! Snot jokes abound with a body-snatchers style story with snot all over the world. Stuck on the ‘Brown Planet’ we get a big build up to a fart joke, which works out well! “Favorite Haunt,” Part 2! The sewers seem to be haunted by all manners of ghoulish ghosts and creatures… some are real, and some are not! Will Mike be able to convince his brothers of the truth? 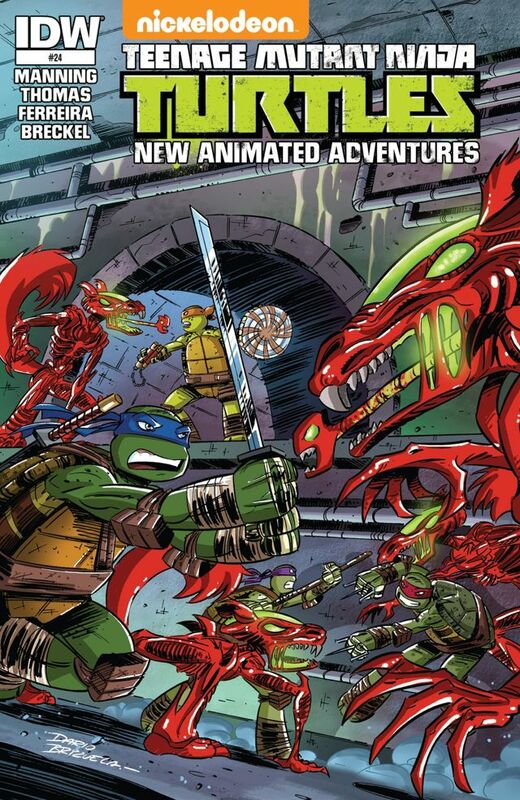 The first story kicks off the conclusion to last issues story with a TV crew getting close to the turtles lair – luckily they have a plan to scare them off – it all works out well, but something has followed them and they have to deal with that – it’s a good ending! The next story has the turtles doing a bit of LARP-ing – Mikey’s idea – while some Purple Dragons are trying to rob some resteraunts! The mix-ups between the two was predictable, but funny!